Ninya is a silver ranked adventurer, magic caster and strategist of the Swords of Darkness. His dream is to get one the swords of darkness but he must prioritize finding his older sister who was taken by a noble. He has brown hair and blue eyes with a face that looked childish, the best looking face of the group. His skin is pale and he wears leather clothes. Ninya is described as a humble and good person within the Swords of Darkness. Despite his good personality, he has a strong hatred to nobles as his older sister was taken by a noble when he was a mere villager. That is why he wants to become a stronger adventurer and is dedicated in bringing her back. It was later revealed Ninya was a woman disguised as a man and that her older sister was Tsuareninya. Unfortunately, her goal of finding Tsuareninya never came true as she was killed by Clementine. 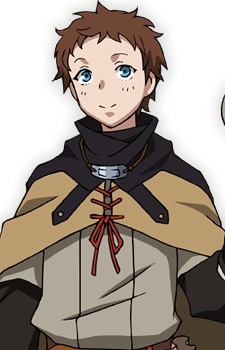 In the web novel version, Ninya was a male.